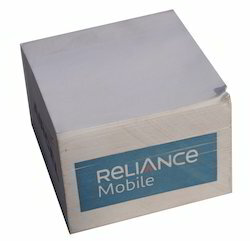 Size Available in 1x3", 2x3", 3x3", 4x3", 5x3"
Being a leader in this industry, we are devoted towards providing a premium quality array of Cube Pad. Block Pad also called 'Cube pads' are a handy desk item as they don't run out of fuel soon. 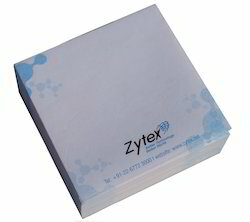 These pads come with a minimum of 100 pages and last much longer than the standard sticky notes.